A few questions to consider: do you still watch movies from a VCR player? More than likely, no. Are you purchasing the latest cell phone every time a new one is released? If you’re like almost 50 percent of iPhone users, the answer is probably yes. How many computers have you gone through in your lifetime? Probably quite a few. Have you recently updated any large house appliances? Maybe, because studies show people are buying new appliances more than ever. So the real question is: where do all of those obsolete, outdated or non-functioning electronics go? Electronic waste, also known as e-waste, is any electronic product, or product containing electronic components, that has reached the end of its usable life cycle. Unbeknownst to many consumers, electronics actually contain toxic substances - therefore they must be handled with care when no longer wanted or needed. If a product is outdated, consumers can donate it to someone who might still find it valuable. Many retailers also offer trade-in programs or incentives for people looking to upgrade electronics that require the surrender of an older model; the retailers are able to reuse or repurpose the older models. However, if a product is totally unusable or broken, instead of just being thrown in the garbage, it must be thrown away by a certified e-waste hauler or recycler, or taken to a designated drop-off at a government building, school or organization as e-waste can potentially cause harm to humans, animals and the global environment if disposed of improperly. The consequences of improper e-waste disposal in landfills or other non-dumping sites pose serious threats to current public health and can pollute ecosystems for generations to come. When electronics are improperly disposed and end up in landfills, toxic chemicals are released, impacting the earth’s air, soil, water and ultimately, human health. 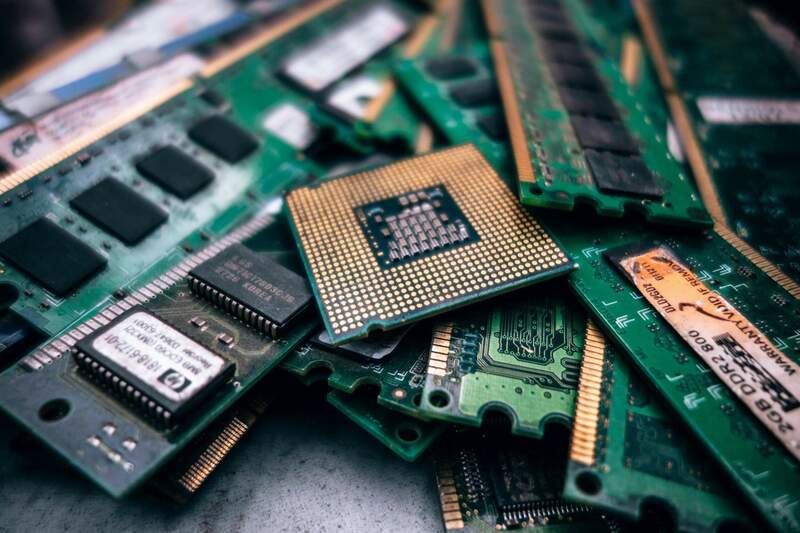 The air pollution caused by e-waste impacts some animal species more than others, which may be endangering these species and the biodiversity of certain regions that are chronically polluted. Over time, air pollution can hurt water quality, soil and plant species, creating irreversible damage in ecosystems. For instance, an informal recycling hub in Guiyu, China that was formed by parties interesting in extracting valuable metals from e-waste, and subsequently has caused the region to have extremely high lead levels in the air, which are inhaled and then ingested when returned to water and soil. This can cause disproportionate neurological damage to larger animals, wildlife and humans in the area. When improper disposal of e-waste in regular landfills or in places where it is dumped illegally, both heavy metals and flame retardants can seep directly from the e-waste into the soil, causing contamination of underlying groundwater or contamination of crops that may be planted near by or in the area in the future. When the soil is contaminated by heavy metals, the crops become vulnerable to absorbing these toxins, which can cause many illnesses and doesn’t allow the farmland to be as productive as possible. When large particles are released from burning, shredding or dismantling e-waste, they quickly re-deposit to the ground and contaminate the soil as well, due to their size and weight. The amount of soil contaminated depends on a range of factors including temperature, soil type, pH levels and soil composition. These pollutants can remain in the soil for a long period of time and can be harmful to microorganisms in the soil and plants. Ultimately, animals and wildlife relying on nature for survival will end up consuming affected plants, causing internal health problems. After soil contamination, heavy metals from e-waste, such as mercury, lithium, lead and barium, then leak through the earth even further to reach groundwater. When these heavy metals reach groundwater, they eventually make their way into ponds, streams, rivers and lakes. Through these pathways, acidification and toxification are created in the water, which is unsafe for animals, plants and communities even if they are miles away from a recycling site. Clean drinking water becomes problematic to find. Acidification can kill marine and freshwater organisms, disturb biodiversity and harm ecosystems. If acidification is present in water supplies, it can damage ecosystems to the point where recovery is questionable, if not impossible. As mentioned, electronic waste contains toxic components that are dangerous to human health, such as mercury, lead, cadmium, polybrominated flame retardants, barium and lithium. The negative health effects of these toxins on humans include brain, heart, liver, kidney and skeletal system damage. It can also considerably affect the nervous and reproductive systems of the human body, leading to disease and birth defects. Improper disposal of e-waste is unbelievably dangerous to the global environment, which is why it is so important to spread awareness on this growing problem and the threatening aftermath. To avoid these toxic effects of e-waste, it is crucial to properly e-cycle, so that items can be recycled, refurbished, resold, or reused. The growing stream of e-waste will only worsen if not educated on the correct measures of disposal.